The area at the bottom of Pitch Hill car park under the Beech trees, is very popular with mountain bikers of all ages. 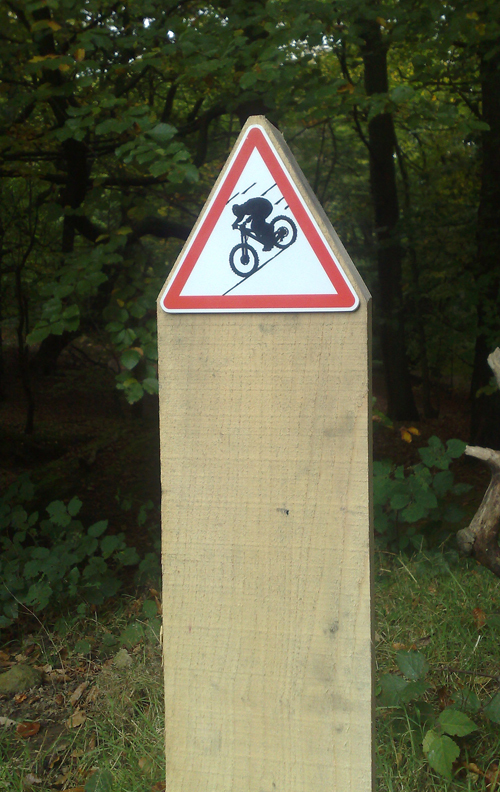 Coming off the steep banks and onto the bridleway can cause some conflict with other users, so after some discussion we’ve decide to put in some warning signs to warn other users that bikes can come down the slopes at speed. As a rule, we would try and contain the biking activity so it doesn’t cause conflict, but it was felt in this case, warning signs were the best option. 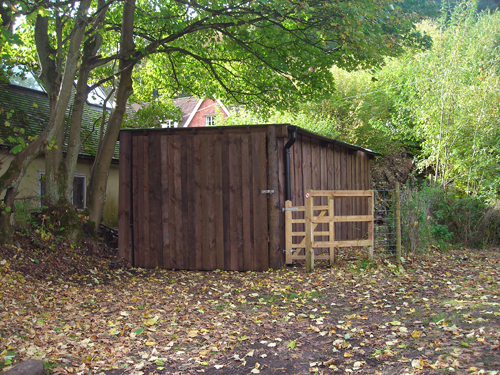 Apart from a few minor tweakings the new tractor shed is completed. A big thank you to my contractors who’ve done marvelous job. Of course I put it down to my exellent planning! 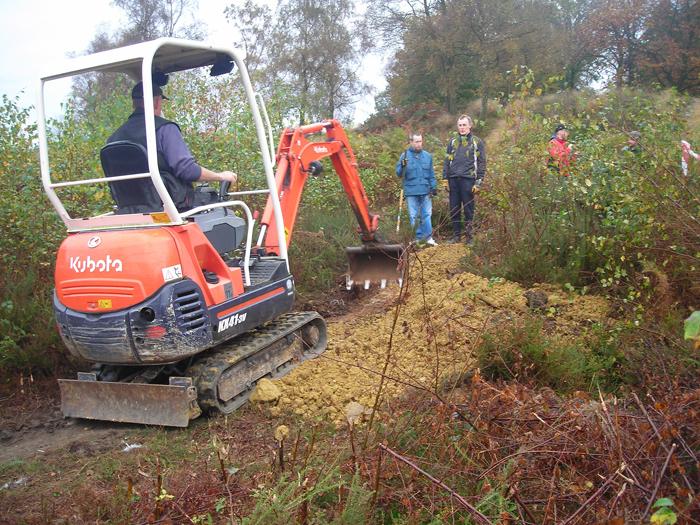 The MTB Trail Volunteers were out in force on Sunday with up to 20 volunteers. 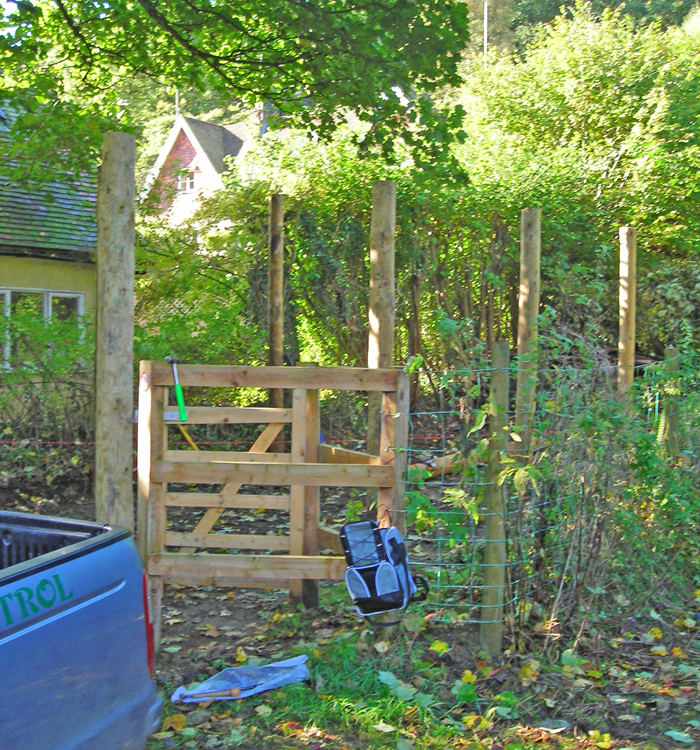 This time with the aid of a mechanical digger they manged to get most of the planned work completed. Despite the appearance in the picture below, they didn’t spend all day watching the digger do all the work (so I’m told). This should now offer an acceptable alternative to the old trail that went across the ancient Hil Fort. 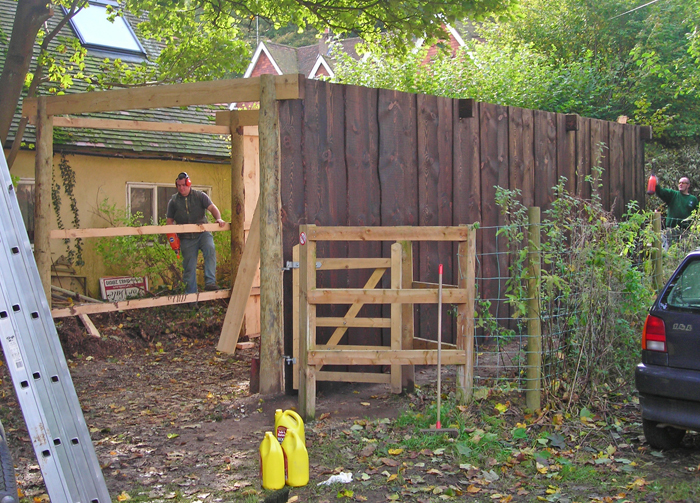 The new tractor shed is starting to take shape. I’ve been unable to help much this week so progress has been slower than expected. However I’m still very pleased with the work my contractors have done, and we’ve just got the front doors and roof to get on before its finished. On Sunday I commented to someone that I didn’t suffer from any back problems, less than 24 hours later I’m flat in bed unable to move. I was trying shift some fly-tip from Lawbrook Lane, and obviously did something I shouldn’t. 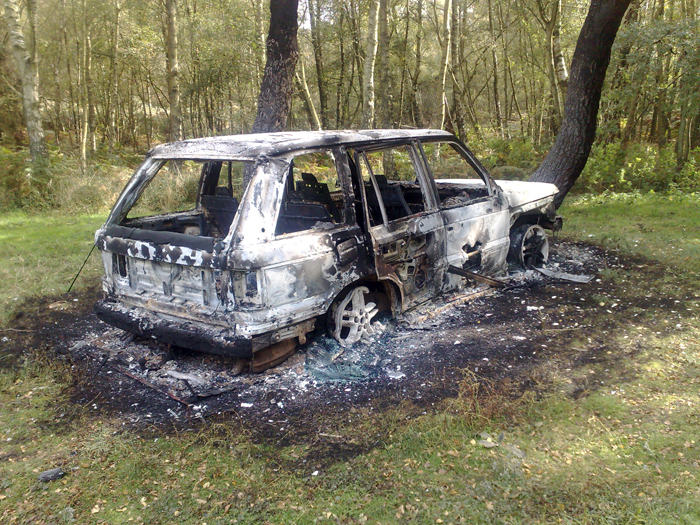 On that same day I also mentioned that we’ve not been getting any burnt out cars lately, so of course then this…. Unfortunately the two Birches will probably not survive.